I could have sworn this was in colour when I first arrived. I even tried refreshing the page a few times! 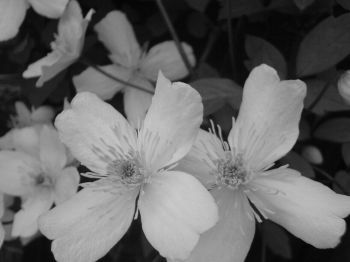 A very "scentfull" haiku that made my black & white into colour. Sangeet ... makes me think of forgiveness ... a beautiful fragrance, indeed! The photo adds so much to the haiku. But that could be because I am such a visual person. Lovely! Very good - and it don't need colour it comes with the words.